Upon completing your first Latitude 33 tour, you are automatically welcomed into Summit Society – an exclusive circle of esteemed guests. A world of exclusivity awaits for those extraordinary travellers as we offer a host of exclusive members-only rewards and benefits including advance tour releases, invitations to exclusive events and private transfers to and from a capital city airport*. Your loyalty deserves exceptional rewards and recognition, a hallmark of the Latitude 33 Difference. 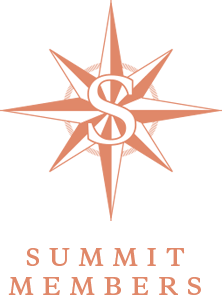 Summit Society members are required to sustain a certain level of activity to sustain their upper-tier status of membership. Ambassador Program By invitation only. Benefits are confidential and will be advised up on invitation. Only when travelling to and from a capital city airport (within 60 Km radius) pre/post a Latitude 33 tour, where service is offered. Elite members will receive one complimentary travel insurance policy to the value of $500 per person. The benefit of travel insurance is limited to one policy per person per year, issued in conjunction with the booking of a Latitude 33 tour (upon payment of deposit). Insurance policy does not include cover for pre-existing medical conditions.